Burgundy size 10 prom dress, open on the back and sides. And open on the leg, need gone asap. 9/10 condition . 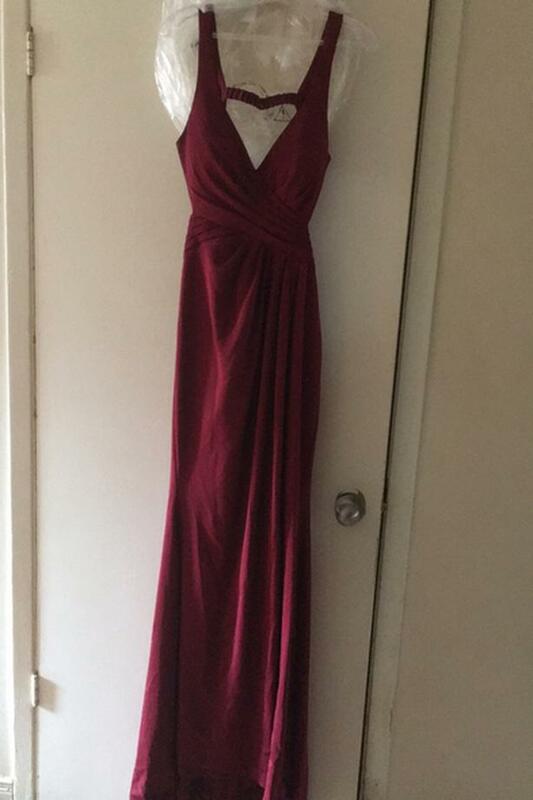 Bought for $350 on sale originally a $700 dress.